Perhaps the world's oldest puzzle, this mathematical challenge was developed over 2200 years ago by Greek mathematician Archimedes. 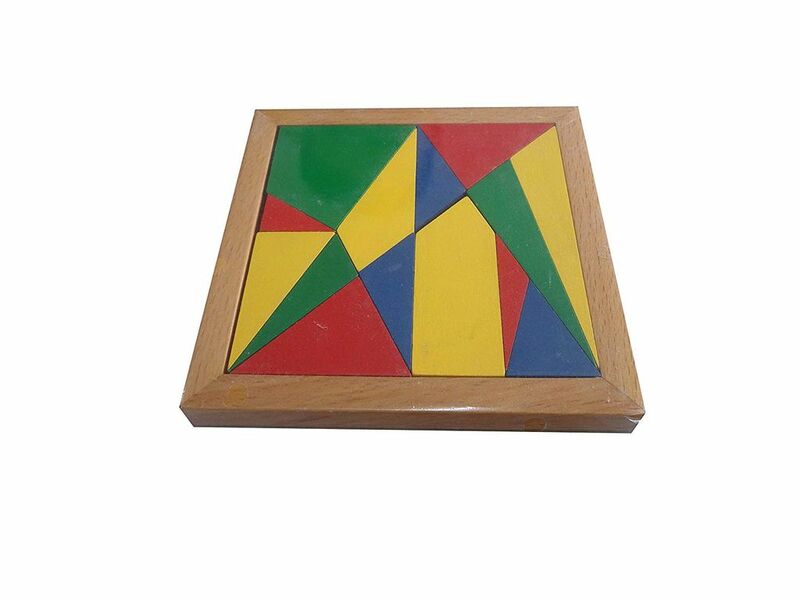 The Archimedes Square Stomachion puzzle is 4 inches square (nearly 5 inches square in wood tray) and consists of 14 polygons of varying sizes and shapes, made from brightly colored wood. 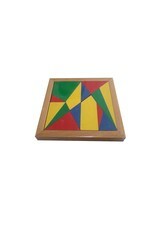 Much like a traditional Tangram, you can solve the puzzle or create your own designs and patterns.